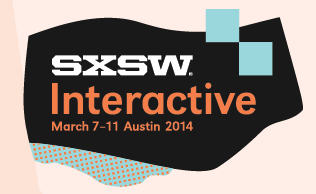 South by Southwest Interactive is supposed to be old hat by now—at least that’s what all the haters say. But to be honest, I never really followed the event closely. Mobile as a whole is one of the biggest growth stories in the history of technology, and wearables are the latest trend that everyone is going to be jumping on. While the potential for wearables is enormous, it’s still very early in the game. Google Glass is basically a prototype that’s going to have to figure out how people might use it before going mainstream. But still, it’s great that Google put it out there to get the ball rolling. The first cell phone was a clunker, but look at where we are today—it just takes time. Right now the segment that’s leading the charge is healthcare: products like the Fitbit and Nike Plus are starting to show the potential for what wearables could eventually become. 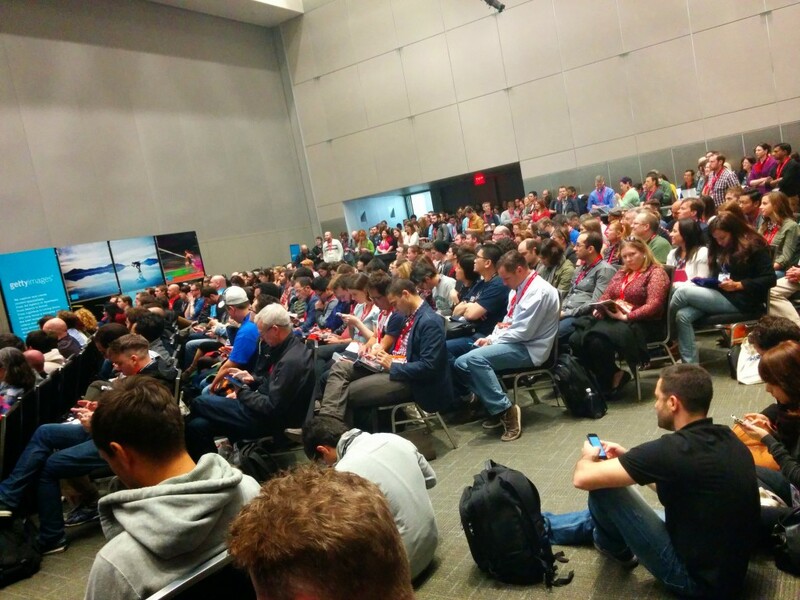 One of the big themes at SXSW was the idea of persistent health tracking. Imagine a shirt or wristband that is always recording your vitals, how much you exercise, what restaurants you’re eating, etc. It could send you alerts when your vitals fall outside of your normal range, potentially detecting the beginning of something bad happening. At the same time, a physician in one of the sessions pointed out that they’re already swamped. The thought of a patient coming in with a 30-page printout of all their vitals for the past 6 months wasn’t appealing at all. “We simply don’t have time,” she said. Look for major changes and major developments in this space, especially once a company like Apple takes wearables mainstream. Note: I wrote a post in December of 2013 expressing my reservations about wearables. After being at SXSW I have to admit I was wrong. This is coming and it’s going to be a big deal—whether we like it or not. Not sure what else to call this, but it’s the opposite of being slimy and completely self interested. Austin Kleon‘s keynote had a name for people that simply want to get something from you for their own selfish reasons: vampires and human spam. All they want is to take, take, take. Want to get ahead in the world? Want to be kind of a big deal? Do you want to be successful? Great, here’s how: Help others. Bring value. Do the right thing because it’s the right thing to do. Don’t hold your ideas hostage in exchange for a big payday. Share what you’re doing, show what you’ve done, and teach what you’ve learned. Give, give, give. How many of you want to hire one of those people? Work with one of those people? Build something new and exciting with one of those people? The people at South by Southwest aren’t indicative of the general population, but I couldn’t help feeling that some of the topics and things I was seeing were a sneak peak into all of our futures. And one thing that really bothered me was that people were too connected. People could not go more than a couple of minutes without checking their phones (maybe with wearable watches people will be looking at their wristwatches, but I doubt it). I’m pretty guilty of this myself, but this was on a whole other level. Every time I saw someone trying to walk with their phone in their face I purposefully walked right into their path. Get your head out of your asses people. We traveled from around the world to come see what these very smart, very interesting people had to say about our industry and what did 80% of the people do? Stare at their phone/tablet/laptop the ENTIRE time. Someone was actually speaking when I took this. I’m so tired, maybe I’ll just skip the next session, go to a restaurant, and watch it on twitter. We traveled for very far away on someone’s dime for you to watch on Twitter!!?? On the flip side, I realized how important Twitter is to so many people. They don’t just want to attend an event, they want to fully experience it—and that means participating in the online conversation about it with their followers. I’m not bashing Twitter, I just know that I’d be pretty pissed off if I’m presenting something I worked hard on and half the people in the audience aren’t even looking at me. But that’s just me. It goes back to that altruism bit: do the right thing. Let’s not lose all our sense of decency and manners just because we’re tech centric. Being at SXSW I experienced something for the very first time: my phone was fully charged at the start of the day and towards the end of it, I realized it was going to die before I got back to my hotel room. I wasn’t the only one stressed about it. Did I turn into one of those people that was always staring at their phone? Kind of. Between using the SXSW App (which was great, by they way) to figure out where to go next, texting the people I went with to coordinate where to meet up, and trying to take good notes (I eventually shifted to a notebook)—I found myself using my phone way more than usual. My point is this: battery technology needs to improve. Sure, those portable battery packs are one way around this, but this is a HUGE opportunity for someone to really push the technology forward. Forget about wearables—they won’t matter unless the batteries in these devices can keep our phones for a whole day, especially if they’re persistently tracking where we are, what we’re doing, and everything else. It’s the classic case of one technology being too far ahead of another, supporting technology. You can’t have one without the other. Despite all the charging stations, random outlets surrounded by people on the floor juicing up for a few minutes before the next session, and backup power solutions, people still ran out of power and they were stressed about it. I think a lot of people already experience this in their day-to-day lives, so before we get all excited about a wearable device that’ll send data to our phones throughout the day, let’s make sure those phones can survive an entire day with bluetooth, Wi-Fi, and GPS running. ← Wearable Technology: Will it Ever be That Big?